The DaDaDocs Dynamics 365 integration is a complete online PDF editor for typing, editing, erasing, blacking out and annotating text as well as signing PDF documents within Dynamics. 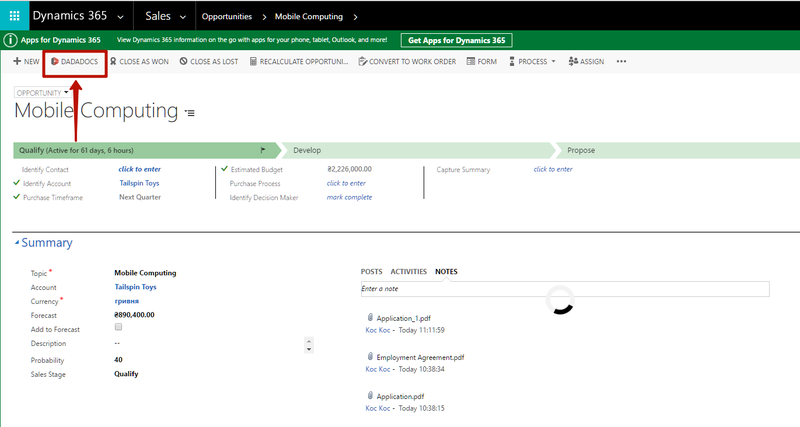 Collaborate on documents in your Dynamics account and make them available for filling by anyone on any mobile device. Have you ever needed to add watermark and logo into your contract or invoice stored in your Dynamics 365 account? Make a logo of your company visible using DaDaDocs powerful tools. Add a custom watermark text right in your Dynamics account. In the past, you probably had to print the document, and write "sample" across the page manually. Or you had to have the document prepared specially using the services of a graphic designer. Either way, you had to have a printer or a scanner, or some kind of special software. 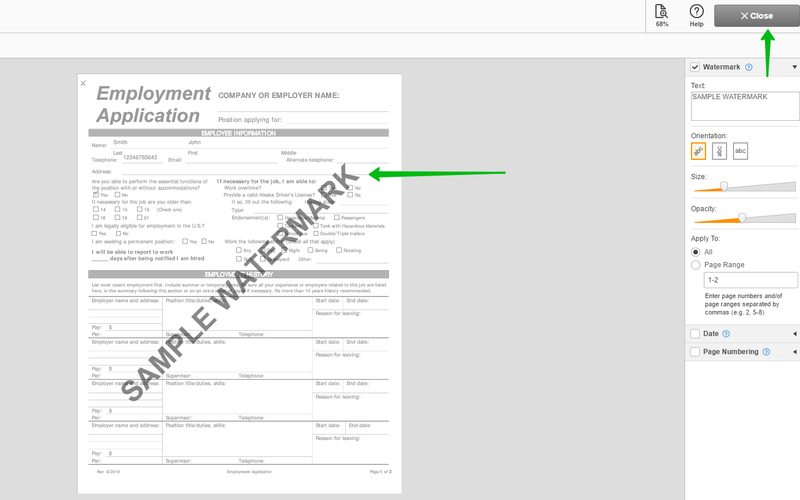 DaDaDocs now offers you an easier way to add watermark to PDF documents with full control over size, opacity, and orientation. To get started, click on Sales and select a required entity, for example, Opportunities. Select the opportunity from the list and click on DaDaDocs in the top panel of Dynamics interface. 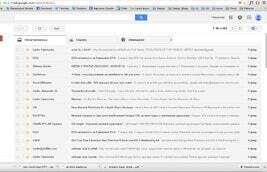 Choose the document you would like to edit and press Edit Document. To the right, you will see the Add Watermark tab. Press it. 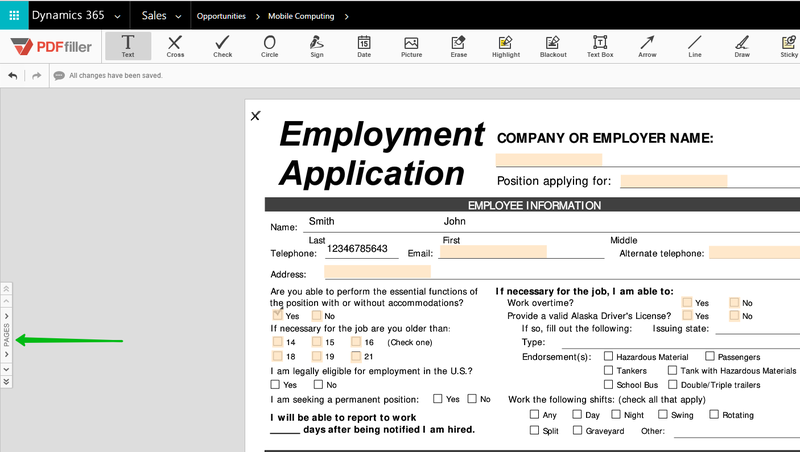 When you have finished editing, click the Done button in the top right corner and save your document back to your Dynamics 365 account, send it out for signing or turn into interactive fillable form available to anyone to fill out from any device.